KAASH is a musical endeavor started in the year 2008. KAASH blends Indian melodies and sensibilities with a scorching Rock backbone, creating an ingenious sound, which emancipates a sea of emotions and nostalgia in the heart of its listeners. The group released their first song “Main Laut Aaunga” in August 2009 which went on to become one of the most searched Hindi Rock tracks on the Internet with over 100 fan videos and more than 10,00,000 views. 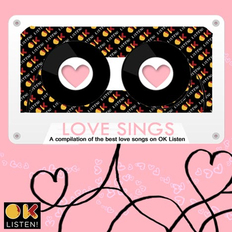 After that the band released 6 more tracks on the Internet which were received with even greater love and enthusiasm. Heart wrenching melodies, subtle lyrics, lavish ornamentation, and an unusual simplicity are their trademarks. The band has built up a serious fan following online, with close to 2.5 lakh fans on their Facebook page. Several websites including reverbnation.com and indianrockmp3.com have ranked them as the No. 1 rock band in the country. Equally at home in a concert hall or a downtown club, KAASH embraces opportunities to bring their music to new listeners in non-traditional spaces. They have played to audiences throughout the country from Trivandrum to Guwahati to Jaipur and Delhi being their home crowd always greets them with the “loudest and proudest cheers”. The band has also shared the stage with some of the most renowned musicians in the world including Grammy winning Greek Bassist Panagiotis Andrew, Grammy nominated Mexican vocalist Magos Herrera and Slovenian jazz guitar legend Igor Bezget. Statistics aside, KAASH’s indelible mark on the Independent Hindi Music has given it a dignity and a richness that it rightfully deserves. This Delhi band has tried to redefine Hindi Rock by distilling the purest essence of its rhythmic soul and infusing into it luminous production quality and equally stunning songs. KAASH is an eccentric set of five people Viren (vocals), Shivam (keyboards), Nishant (guitars), Sonic (bass), Nirvan (drums). Backed by solid education they show a marked disregard of any musical style limitations. 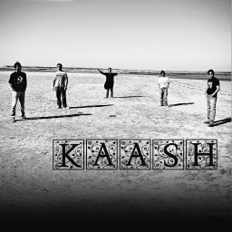 KAASH is a band blessed with both strength and intellect, architects of a true Hindi Rock sound they bring a sense of freshness and spontaneity. Their songs sound both honest and genuine; and have a sense of striking purity, undeniable magic and an unmistakable originality.